A man has been released under investigation after being arrested on suspicion of attempting to kidnap two schoolgirls. 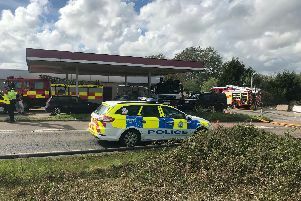 Meanwhile, Sussex Police say they are still urging any witnesses to the incident - which happened at around 9.55am in Ashington yesterday - to come forward. Officers say that the two girls, aged eight and ten, were cycling home when a man driving a white van in Meiros Way, Ashington, approoached them on a couple of occasions and asked them to get into the van. Crime Investigator of the Worthing Investigations team Neil walker said: “We have not received any other reports of this nature but would ask anyone who has been a victim of a similar matter to report it to us. “This was a distressing incident and, understandably, the girls are upset by what has happened and we will provide them with support. “We are urging parents to talk to their children about what to do if they are approached by a stranger when out and about. “The man is described as white, 5’ 11”, in his 40s, with grey hair and wearing a white vest top. A 42-year-old man from Southampton was arrested on suspicion of attempted kidnap and was later released under investigation. To report information please go online or call 101 quoting reference 408 of 25/07. Alternatively, you can visit the Crimestoppers website or contact the independent charity anonymously on 0800 555 111.